Your characters and campaigns come in all shapes and sizes. Some use 1" squares, 1" hexagons and 1.5" hexagons, or any combination thereof. Whatever your flavour, Gaming Paper has you covered! 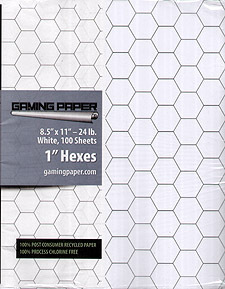 Why Gaming Paper Single sheets?